How do you demonstrate an invisible concept? When OT-Morpho rebranded itself as Idemia, a global leader in trusted identities, or “augmented security,” we helped to plan the launch event. 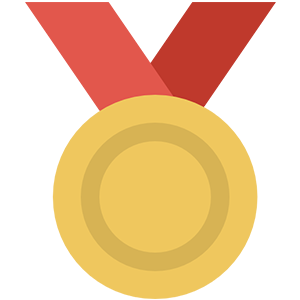 But how to find a way to make digital security solutions both visible and compelling ? We created a show, “Behind the Scene,” at the Seine Musicale in Paris. 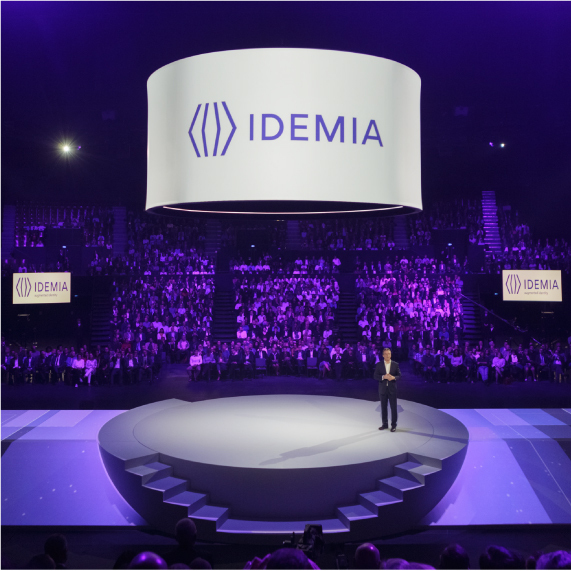 The audience contained 300 external guests—press, clients, partners—as well as Idemia employees, who were invisible until the end. The show developed in four steps. 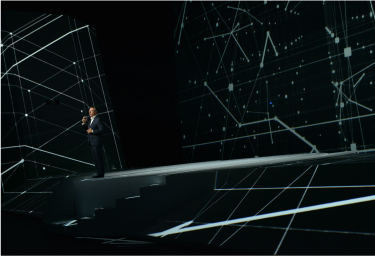 First, CEO Didier Lamouche stood onstage, welcoming the external guests and explaining the brand’s merger and mission. He was surrounded by an impressive and ever-changing digital decor of video mapping, animated graphics and overhead projections. 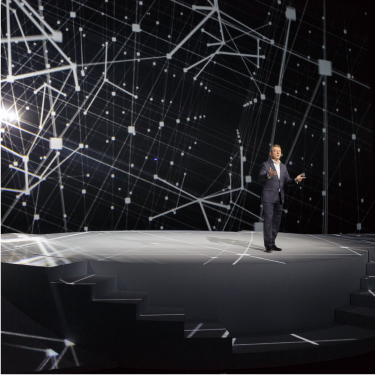 A short film demonstrated the group’s latest innovations, such as an automated air passenger boarding process or a new generation biometric payment card. Guests could test these afterwards in a showroom. The third step was a dramatic reveal of the internal guests. 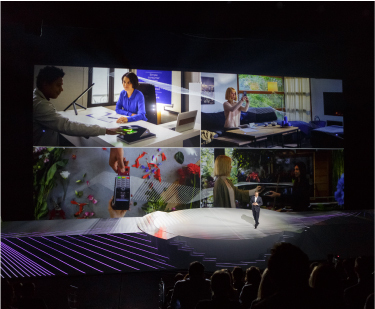 The show had been livecast to seven countries, and now employees watching it around the world were beamed back onscreen. 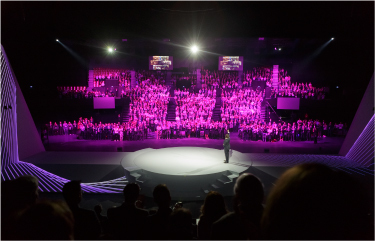 Then, to the audience’s surprise, a transparent curtain rose to reveal 1,500 employees sitting behind the stage, where they had been watching the whole time. 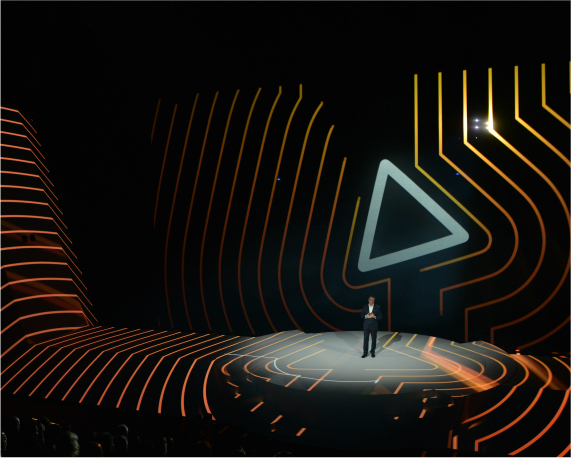 Finally, Didier Lamouche revealed the company’s new name with a virtual 3D logo coming together and floating above the stage—a powerful climax to an electrifying show.